Simple food, well executed. That's the secret here. 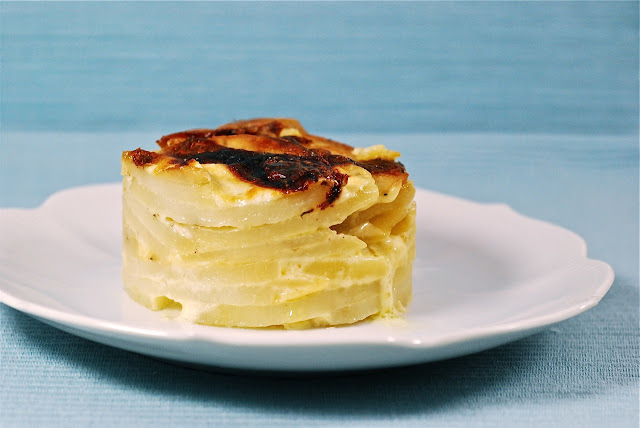 I just opened a wheel of homemade Gruyère, and making this kind of gratin is one of the dividends of that activity. 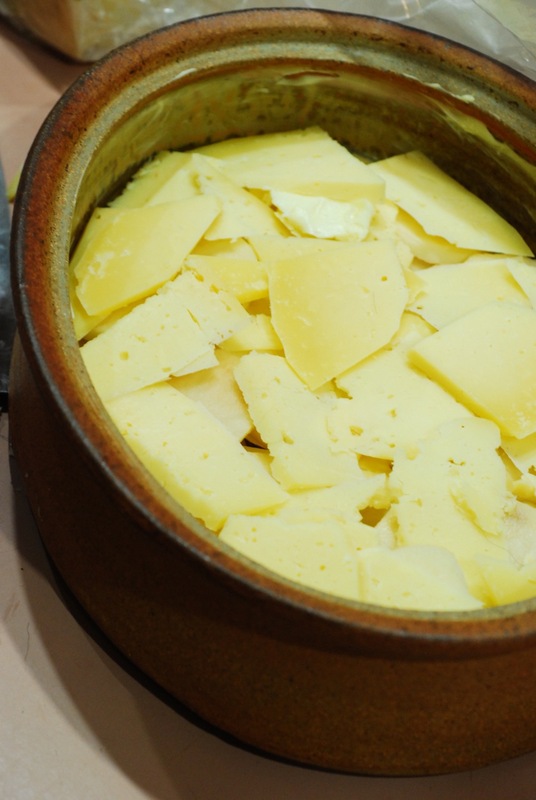 The melting characteristics of the cheese combine with the cream to make a very smooth sauce for the potatoes. When making a gratin, always let it cook until it is very brown on the top. Keep the heat at 325F. Convection is ok, but watch it. Allow the gratin to rest after baking for at least 20 minutes. Much of the liquid will re-absorb into the potatoes during that time. Feel free to vary the gratin by adding a second vegetable, like onions or mushrooms (particularly wild mushrooms), or green vegetables. Also consider adding ham, or other smoky meats. 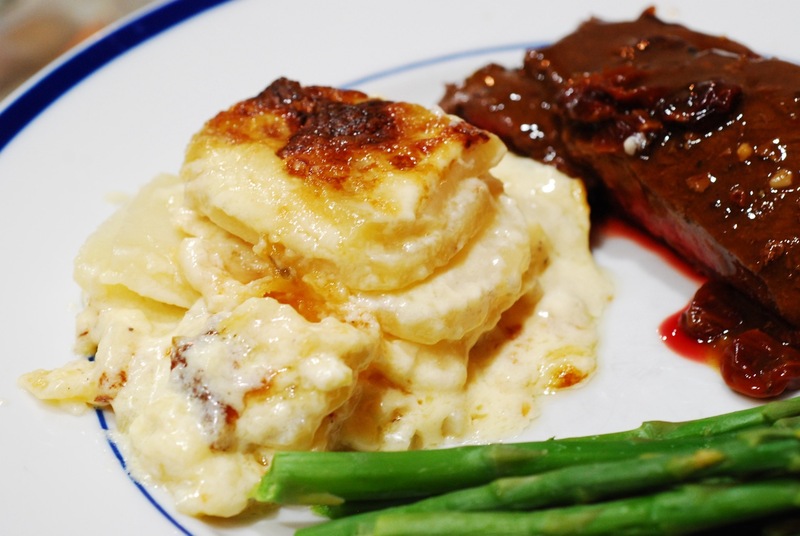 Rub the garlic clove on the bottom of a gratin dish to leave juice behind. Discard garlic. Rub the butter on the sides of the dish. Then layer half of the potatoes in the dish. Cover this with slices of Gruyère. Put in the rest of the potatoes, distributing them neatly. Then pour on the cream and milk. Add several grinds of salt and pepper, then shake the dish gently to distribute. Bake at 325F for about 1 and 1/2 hours, until well-browned over the surface, and done through. It will boil vigorously in the oven, but eventually brown on top. 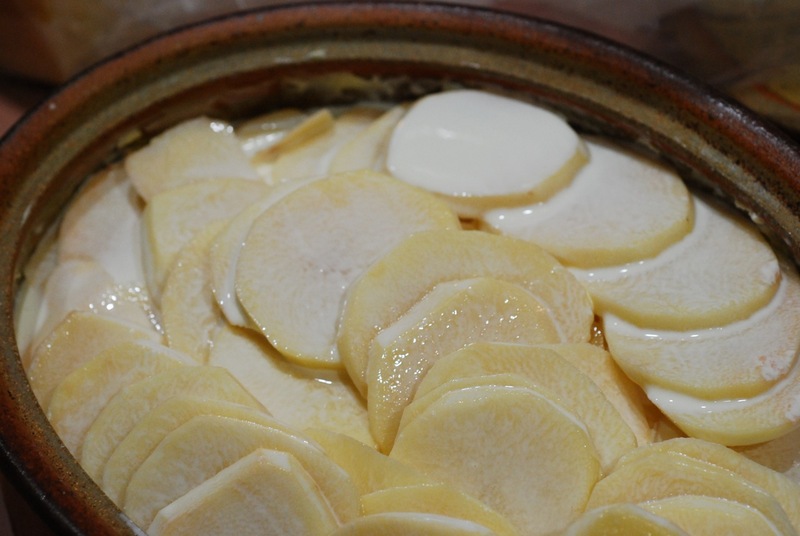 Remove from oven and allow to sit at least 20 minutes, to reabsorb into the potatoes. Serve immediately after the resting period, or allow to rest for a full hour, and then use a cutter to create individual servings (as shown at top). This presentation is perfect. 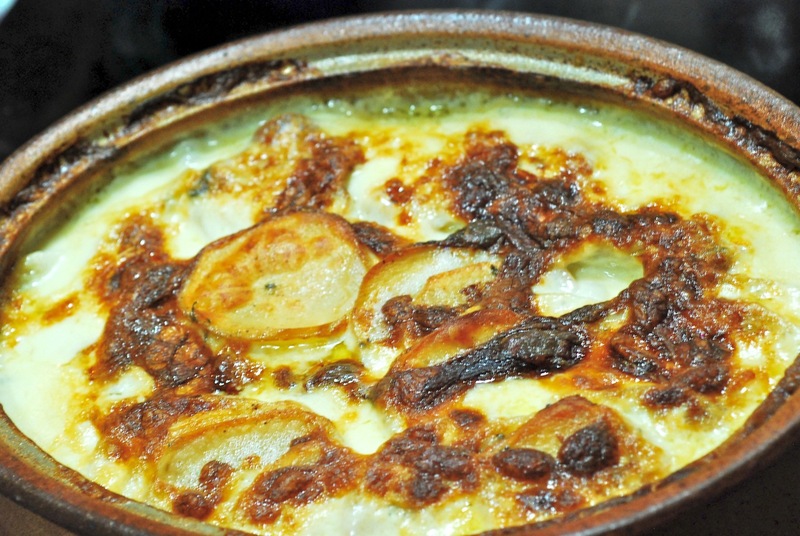 A great recipe for gratin, with helpful cooking tips ! Well done. you have impressed me! SAVING this one to try soon! This sounds absolutely fabulous. 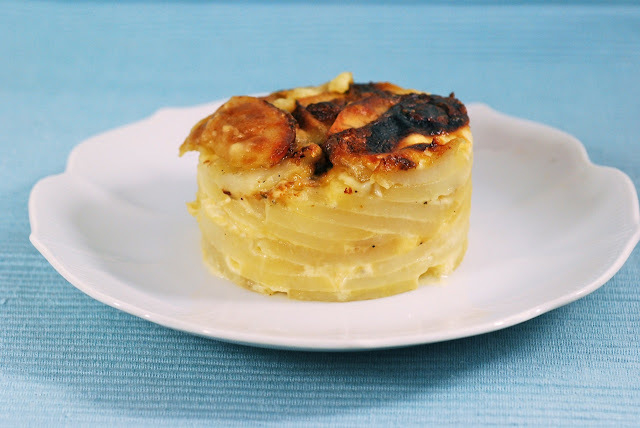 I just bought a big hunk of Gruyere too and lately have been eating a lot of potatoes so this recipe combines my two latest obsessions. Bookmarking it now! that looks really good! 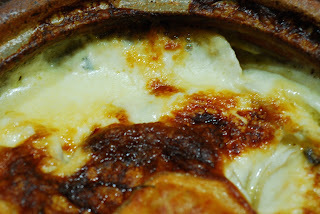 i really really like the centre of melted cheese(: should gratins be baked with cream or bechamel sauce? i've seen recipes for both and i'm confused! My niece found this recipe for me because she wanted to make a gratin for dinner last night. It came out delicious! Thanks for a successful recipe.